Mega MRP provides a balanced ratio of high-quality Protein, carbohydrates and essential nutrients in one delicious and easy-to-mix shake. Mega MRP is a unique formula designed to provide a convenient alternative to a full meal in seconds. It blends smoothly like a gourmet milkshake with a great tasting natural flavour. 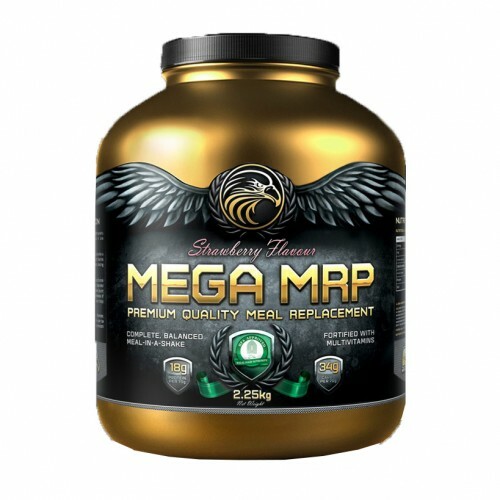 Mega MRP delivers a full spectrum of nutritional benefits in the form of easily absorbed premium blended proteins to satiate hunger, complex carbohydrates (such as pure micronized oat flour) for a sustained release of energy and a multivitamin complex to provide your body with the micronutrients it needs.